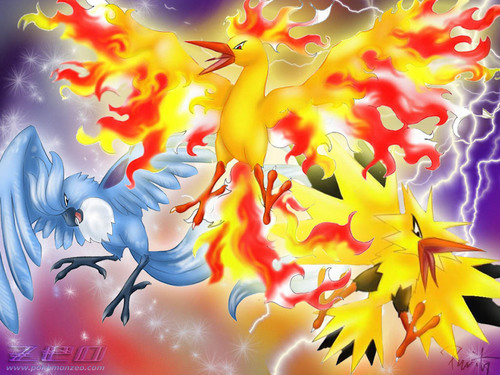 Legendary birds. . HD Wallpaper and background images in the Legendary Pokemon club tagged: legendary pokemon. i got that 3 pokemon!!!!! i can trade a zapdos to anyone. Personally, my favorite of them is Articuno.